You’re planning your next off-the-wall vacation, a hidden gem somewhere off the beaten path. The question isn’t whether to go to Chiang Mai, it’s what to see in Chiang Mai. Thailand is one of the most popular tourist destinations in the Asia Pacific, and for good reason. Once you’ve stepped out of the Western 9 to 5 rush to mosey between lush countryside and western city comforts in the midst of Chiang Mai’s beautiful architecture…well, you won’t want to head home. 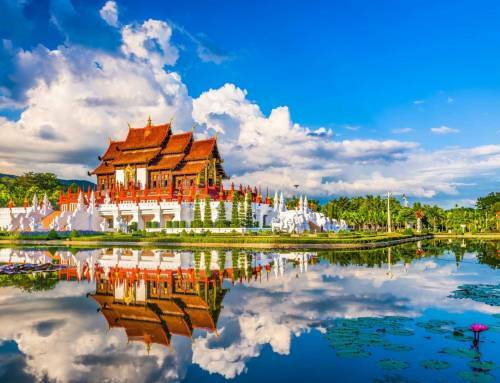 Read on for five architectural highlights of Chiang Mai, and why you can’t afford to miss out on this Thai city as part of your itinerary. Chiang Mai, Thailand’s ‘rose of the north’, is technically a city, but it feels like the country. That’s because the city sprang up around the ancient Chiang Mai, surrounded by superhighways. Good news for the visiting traveler, because the heart of Chiang Mai feels like a sleepy country town. Start driving in any direction and you’ll encounter rich green jungle dotted by w?t, waterfalls and sleepy country villages. 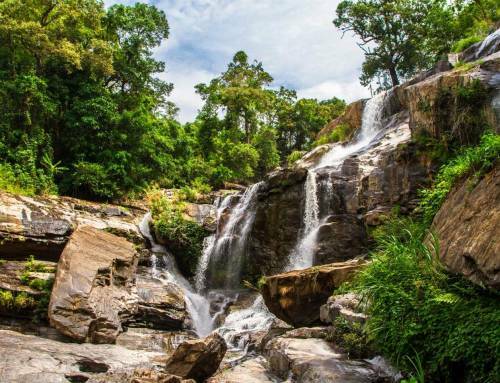 Part of the beauty of Howie’s HomeStay is that you feel like you’re a lifetime away from the hustle and bustle of Thailand’s urban landscapes – but really, you’re just a 30-minute drive away. The flight from Bangkok is just an hour. If you’re figuring out what to see in Chiang Mai, our eco-resort is the perfect choice to discover the architectural beauty of the area – just the right balance of Western comfort and also the freedom to explore. Chiang Mai is home to a bevy of architectural delights, including over 300 w?t (Buddhist temples.) If you’re a history buff, especially where architecture is concerned, welcome to paradise. We’re happy to have you. With so many architectural treasures in our backyard, it’s hard to pick just one. Here are a few of our favorite must-see spots for historians, architecture buffs and aesthetically-minded tourists alike. No list of what to see in Chiang Mai would be complete without one of its most famous landmarks. The Pae Gate was once part of the ancient city wall acting as a fortress to protect the ‘Old City’, dating all the way back to the 13th century. Nowadays, it’s also a tourist hotspot, and for good reason. On Saturday evenings, live bands perform and also food vendors appear, selling everything from som tam and noodles to chicken. Set in the heart of the Old City, Wat Phra Singh is one of Chiang Mai’s largest and most important temples. King Pha Yu built Wat Phra Singh in the 14th century. It enshrines the remains of his father, King Kham Fu. But the temple’s claim to fame is that it may have been the first temple to house the Emerald Buddha, a beloved cultural treasure of Thailand that now resides in Bangkok. Today, Wat Phra Singh houses the Phra Singh Buddha, from which the temple takes its name. If you don’t know the Phra Singh Buddha, you should – it’s the most venerated Buddha statue in northern Thailand. Dreaming of a jungle temple paradise? Wat Pha Lat is a hidden treasure of Chiang Mai – also one well off the tourist track. We’re not kidding about it being off the beaten track. Be prepared to hike about 30 minutes up the mountain along the monk’s trail. You won’t be sorry you did – unlike city community temples, jungle temples like Wat Pha Lat act primarily as a tranquil hideaway for monks. 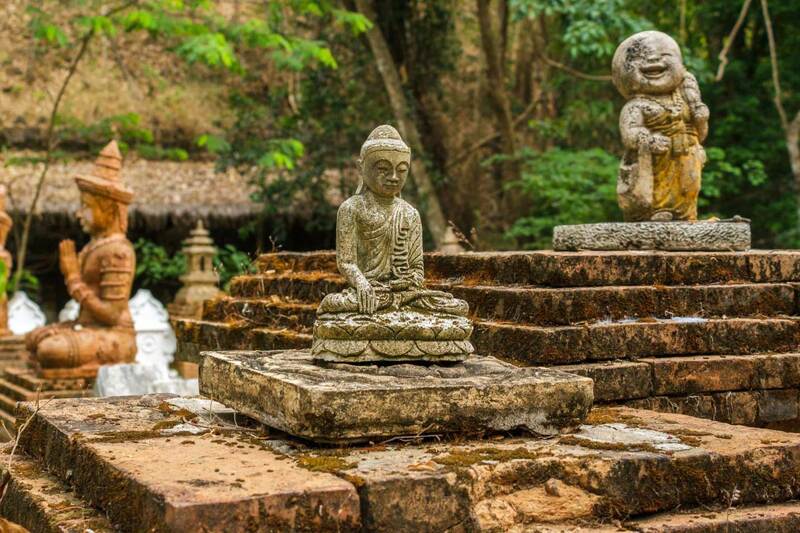 With beautiful old stone buildings, intricate statues, cascading waterfalls and breathtaking views of the city, you’ll understand why the monks stay at Wat Pha Lat to live and meditate in peace. Where hilltop temples are concerned, put Wat Phrathat Doi Suthep on the top of your ‘what to see in Chiang Mai’ list. Oh, and did we mention it’s one of the most sacred temples in Thailand? There are a number of legends about Wat Phrathat Doi Suthep, but the most famous is the Legend of the White Elephant, which holds that the temple was created to house a piece of bone from the shoulder of the Buddha himself. Wander up a mountain road to explore the sprawling temple grounds, which are just as stunning as the views of the city below. 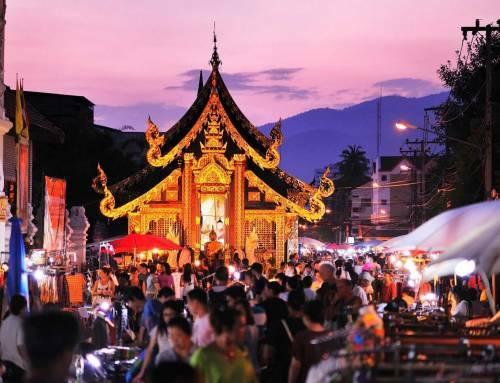 The whole of Chiang Mai is a study in Thai Lanna architecture. Wat Sri Suphan is a modern interpretation of the design that will take your breath away. Built over the course of twelve years from 2004 to 2016, the design of the temple is based in traditional Lanna style. It includes a multi-tiered roof, cho fa (sky tassels), and chong lom (long, narrow windows). But the most striking feature of Wat Sri Suphan is that it’s composed entirely of silver and aluminum. It was built entirely on the talents of skilled traditional metalworkers from the local community. They built their knowledge of silver craftsmanship through generations. The temple was built in this century and contains several references to modernity and the larger world. The medallions on the exterior pay homage to various ASEAN countries including Vietnam and Singapore. Larger surfaces also include reliefs of Buddhist canon and Jataka tales which are a common feature of Thailand wats. 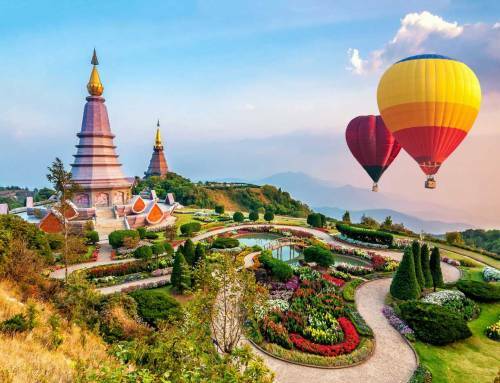 You want only the best of what to see in Chiang Mai. You also want the same from your resort. Howie’s HomeStay can offer you both. Our resort is a collection of seven residential pavillions tucked into five acres of tropical gardens and water gardens. No more than one group or family is in residence per pavilion, giving you your own luxury resort. Depending on your interests, we can arrange for guided trips via private car and driver. 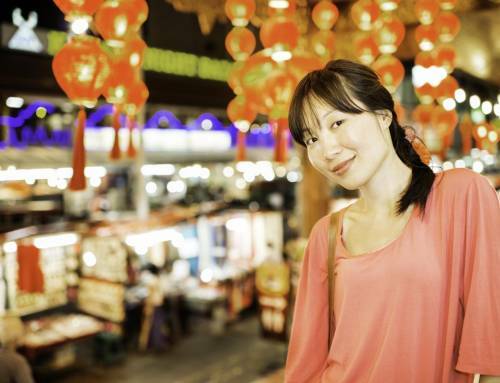 Enjoy markets, guided cultural tours, and shopping excursions. Take a look at our room options for villas – the Teak Pavilion and Family Suite – and then take a look at our rates. Or, if you’re ready to book your room, click here.